Fresh Monkey Fiction, Remco (a division of ZICA Toys) and The Drawn Word are proud to announce a tribute to legendary creator Larry Hama. We will be launching a Kickstarter in January that will showcase Larry’s remarkable career and include a 1/18th scale action figure of Larry himself. We’ll keep you posted as more details emerge. Share your excitement with us after the break! 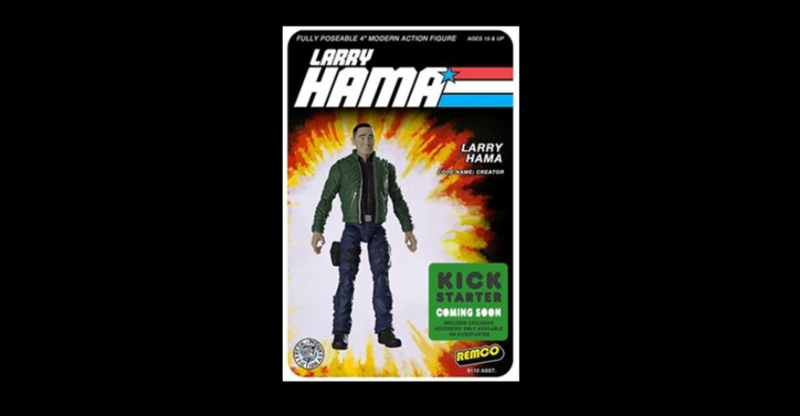 Fresh Monkey Fiction, Remco (a division of ZICA Toys) and The Drawn Word are proud to announce a tribute to legendary creator Larry Hama. We will be launching a Kickstarter in January that will showcase Larry's remarkable career and include a 1/18th scale action figure of Larry himself. More details to follow. So Larry's getting his own KS, huh? Cool. 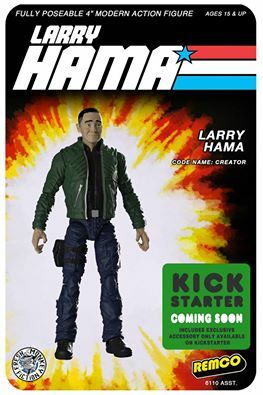 Never thought I would have the slightest interest in a Larry Hama figure KS, but the initial picture looks really good. A figure with a jacket that is compatible with the Eagle Force KS figures so could swap waist/legs and easy to do a headswap. Once the tooling is in place, would be great to see different colour versions of the build like MTF. Definitely piqued my interest. A fitting tribute to the man who helped bring modern military back into pop-culture again! I will be backing this no matter what! Any word on when the Kick Starter will launch? Whoa cool I'm in on this!!!! We're targeting January...it'll only be a 3 week Kickstarter. I'm already in! Just say the word. Will there be any stretch goals for that KS, or is it gonna be just straight up for the Figure? All times are GMT -4. The time now is 9:03 PM.